For a 20/20 burn just pop one of these Lizard Eyes in your mouth and your eyeballs are guaranteed to pop out. These beauties have either a Habanero or Jalapeno pepper pupil, so check the label carefully in case you don't have a high tolerance to pain. 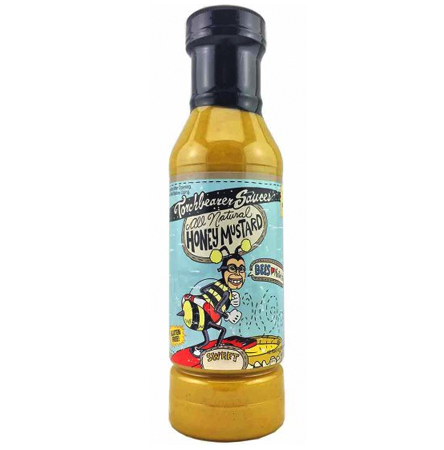 You will have a hard time finding something you can't make better with our Honey Mustard. Sweet and tangy, and pairs well with anything. Put it on a sandwich, hot dog or simply dip fries or pretzels in it. Perfect on subs, pork loins, and soft pretzels! This blend of honey and a home made mustard, makes a sweet and tangy treat the whole family will enjoy. Put it on a sandwich, hot dog or simply dip fries or pretzels in it. You are going to love it, I promise. Oh My Garlic! Sauce is OUTSTANDING. First released in September 2011, it will be the most delicious garlic flavor your tastebuds have had the pleasure to try. It is a creamy Garlic Aioli, and don't let the creamy taste fool you, it IS dairy free. A blend of fresh garlic, oil, vinegar and lime, it works well on EVERYTHING you eat. 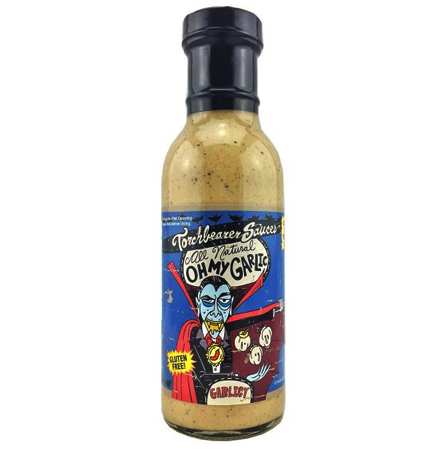 Oh My Garlic will replace mayo and garlic in all your recipes once you experiment with this sauce. The intense garlic flavor is perfect on steaks, salads, subs, pizza, pasta sauce, wings, or just dip french frieds in it. The only limits are set by your imagination. If you like Horseradish, we have the sauce for you. It is spicy and smokey with a strong horseradish kick. 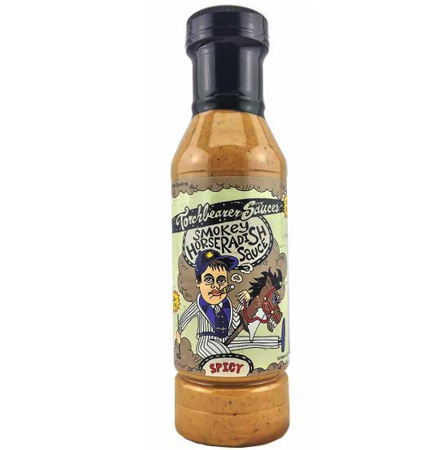 This sauce blends a locally made fresh horseradish with garlic, chipotle pepper with a dash of habanero. Watch out this horse has a kick, but it also has the flavor that will make it your new favorite sauce. Try it on brisket, roast beef sandwiches, wings, or anything else your heart desires. Our Smokey Horseradish Sauce makes a great veggie dip, bloody mary or cocktail sauce.